Choosing a wedding venue is an arduous process full of an endless amount of questions, with everything from guest capacity to cost to cuisine availability hitting you seemingly all at once. But don’t sweat it—we’ve broken it all down to the most important questions for you to ask the potential host for your special day. So sit back, relax and remember, one crisis at a time. How quickly does this venue fill up? 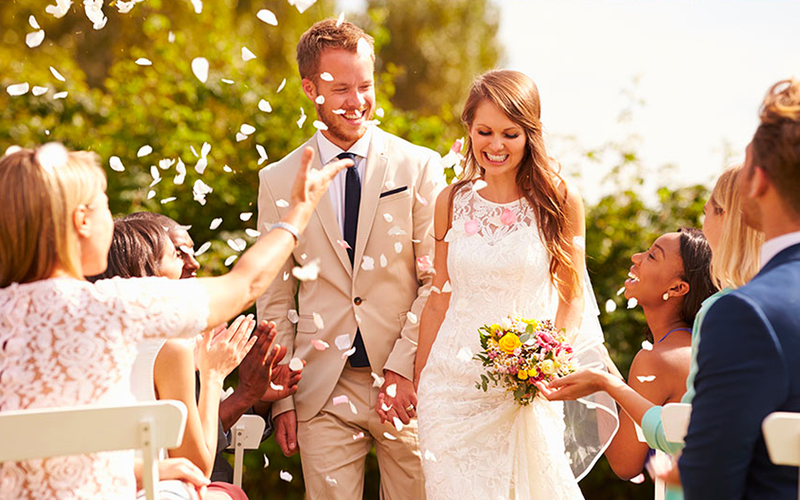 If you don’t know how often the venue is hosting weddings and how booked they are in certain months, then it will be trickier to plan your day. Get this information early in the process in case you have to plan around it. Is the date you’re planning on available? 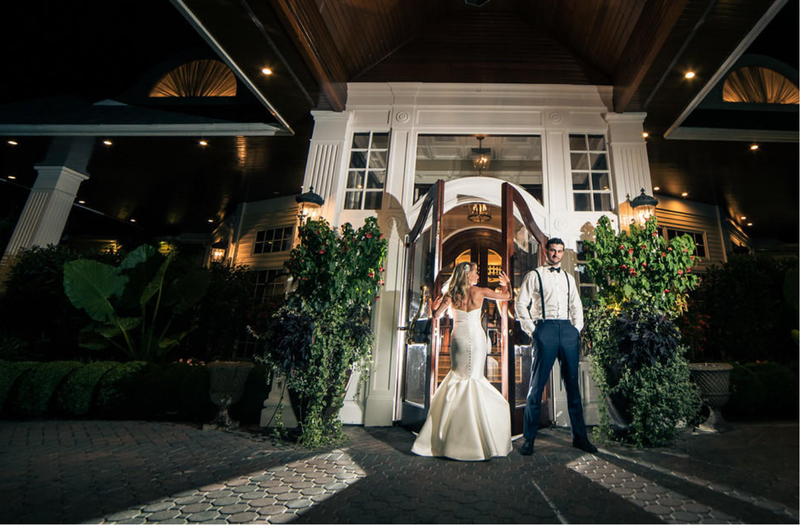 Not all couples have a predetermined date in mind, but if you have your heart set on a specific day, it is of the utmost importance to find out if your venue has that day available. If they don’t, fret not, they will likely offer up plenty of alternatives. How soon can I book my future date? This depends on a few other factors of the venue (including how busy they are), but definitely something to keep in mind if it fills up fast. When are the most popular months in the year? When planning, you want to consider the off and on seasons of a particular venue, with peak wedding season typically landing in the fall. Keep in mind that a venue’s prices often vary from one season to the next. What is the payment method/schedule? Yes, this is a day of love and happiness, but as we all know there are plenty of dollar signs floating around your wedding. Money matters are stressful and you do not want unforeseen costs sullying all the fun. Find out ahead of time how much to pay and when it’s due. This is also a good time to bring up how much the deposit will be. How many hours of rental time are you getting for the space? Knowing for how long you actually have the space could help in planning out the day. Also, you could figure out what your payment entails. What is the cost for different days of the week (e.g. Thursday/Sunday verses Friday/Saturday)? This is something that is slowly becoming more popular—considering changing that Saturday night into a Thursday to benefit the overall cost. Making the move from the traditional to the uncommon can lower the cost of the wedding. 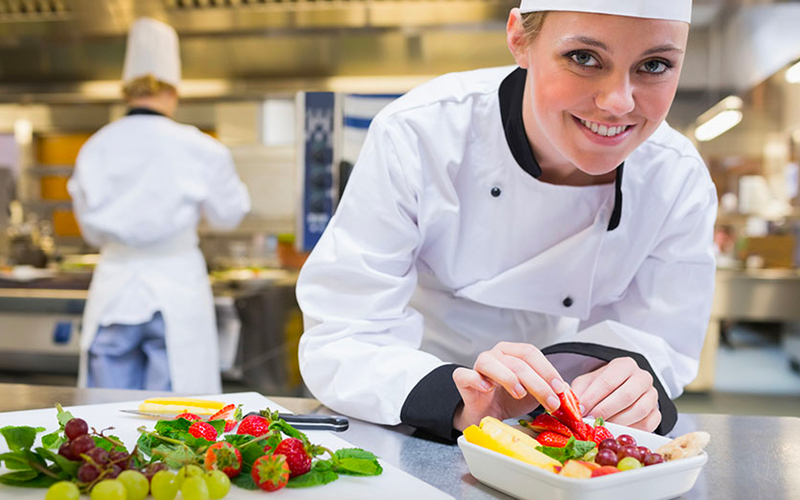 Asking about what kind of catering options your venue has is important because this helps you figure out if you’re going to need to factor in a catering budget that is separate from your venue budget. Also, aside from the time-honored cocktail hour, entrée and dessert lineup of wedding fare, plenty of couples are adding after-party food like late-night revelers. 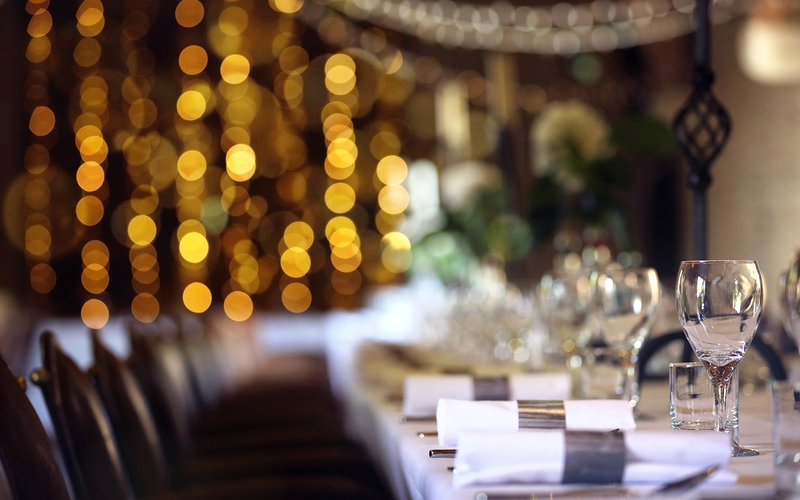 Find out if your venue allows for pizza, burgers or any number of post-reception eats. Places to stay in the area? Finding out if there are places to stay around the venue is a good safety net and could help figure out the cost at the actual venue. This is a big one, not that you would pick a venue and then have to cancel it, but what if it’s still early and the date changes and the venue can’t accommodate—this is something to think about and ask. Also a good point to ask if you can get you money back. Is there a back-up plan in case of bad weather? Outdoor weddings are beautiful, so long as Mother Nature cooperates. Check to see if your venue has contingency plans like tents, indoor options, etc. if this is a wedding where any part of it is outside and the weather takes a turn for the worse. 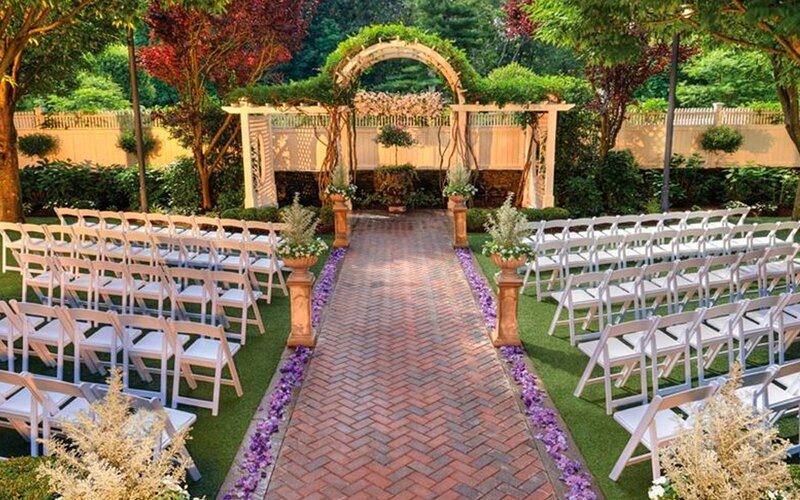 What kind of style is this wedding venue? All venues are different, so if you’re planning on having a specific aesthetic or theme to your wedding, it might be a good idea to see if the venue is more traditional or if it leans modern. This would also be something that could be discussed when actually visiting the venue site. How might the general area be related to the style? Is it rural? Is it near the water? In a city? The natural surroundings of your venue can play a vital part in the look and feel of your wedding. You know what they say: location, location, location! Can we also hold the ceremony there? This a good point to bring up in the case that you may not be getting married in a traditional house of worship. Is there an indoor and outdoor chapel? If you are interested in holding the ceremony at the venue, this is a good factor to consider especially in the case of inclement weather. What kind of music options can the venue accommodate—a band or a DJ or both? The best weddings feature guests that simply cannot sit down because they are having too much fun on the dance floor. Make sure you know what kind of music the venue can handle. Who knows, this might actually help you decide between that amazing live band or versatile DJ. 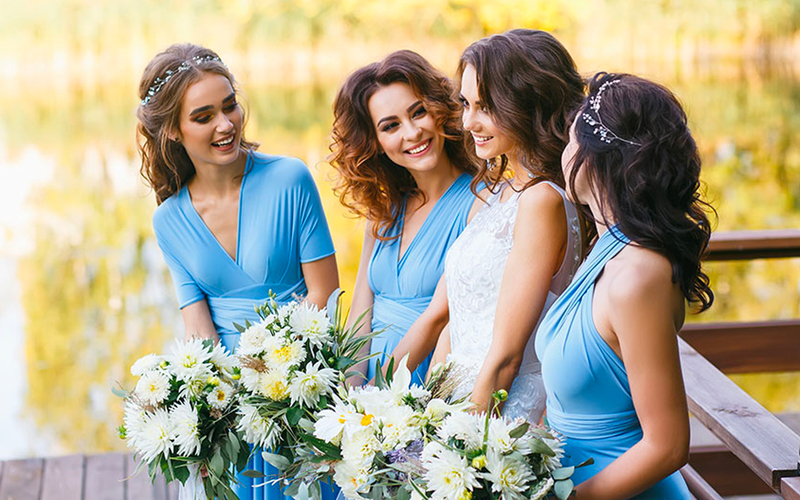 Before you even decide which former college roommate to invite and which out-of-state relative to eighty-six, it’s important to find out how many bodies your venue can handle so you can factor that into your final guest list. Your girls need a private refuge away from the crowd to fix their makeup, alight their emotions and, let’s face it, pregame. Ask about the venue’s bridal suite and feel free to ask to see it ahead of time. If this is a cold-weather wedding, you certainly don’t want your guests hanging their big, bulky coats over their own chairs. Find out about the coat check situation and, if you have the means, take care of the overall tip for the attendee so your guests don’t have to worry about carrying cash. An important aspect of any large gathering, figuring out the restroom situation ahead of time can help your guests be as comfortable as possible. Do you have to purchase liquor through the venue or can you bring your own? Of course, most venues boast bars for any special event. But, some venues have a policy of only serving beer and wine. So if you want additional spirits or signature cocktails, be sure to find out if the venue can hook you up with their vendor or if you need to figure out an alternative way to get booze into the building. Are there any noise restrictions or restrictions of any kind at the venue? Does the band have to unplug after 11 p.m.? Is the venue in a residential neighborhood, thereby making outdoor party-goers somewhat of a nuisance? You want everyone to have a good time, but you also want to be a good neighbor. Check with your venue about any special restrictions. Before you go ahead and book, make sure you know who to go to for updates or anything you may want to change or alter for the day. Get a phone number and an email of this contact, as information sharing is crucial to a successful—and fun—wedding day. There are a lot of questions to ask and things to consider when looking at your venues, so it’s time to make a game plan and get going. Along with questions to ask the venue, it is a good idea to have questions to ask your wedding planner.